JICA caters for both MCA as well as MBA streams coming from all over the country with nice blend of rural and urban students. The world is shrinking fast into a tiny global village and interdependence is acquiring equal importance as that of independence. The world is poised to witness breakthroughs in Science, Technology, Biotechnology, Human Genome, Vaccination, Bio-fuels replacing the conventional fuels, Space travel, Communications and many other to improve life style, longevity and productivity in human life. The world is also making efforts to curb pollution and make it Carbon neutral.Jayawant Institute of Computer Applications (JICA) approved by AICTE and Govt. of Maharashtra and affiliated to Pune University. The institute has excellent infrastructural facilities like dedicated and highly qualified staff, state of art laboratories and other amenities required for conduction of quality academic programmes. JICA aims to make India a knowledge superpower. With this dream, JICA provides an equal educational opportunity for all aspiring students irrespective of their economic, academic, social…background. The colleges of JSPM are committed to impart holistic and world-class education helping students acquire professional skills. Indian economy and industry is surging ahead - and education is the pivot around which this cycle of growth is revolving. Every change on the corporate horizon is keenly observed by a team of dedicated national, international faculty and industry partners at JICA to make appropriate changes in the curriculum and academic delivery. Through global industry academia tie-ups, JICA has been able to streamline its academic approach in order to give students the necessary knowledge and disposition to succeed in the cutthroat corporate environment. Since its inception, JSPM has grown considerably both in terms of the number of students enrolled and the number of campuses established across Pune. The professional colleges of JSPM understand that education is not an end in itself but a means towards a more prosperous and rewarding future. Jayawant Institute of Computer Applications JICA, Pune offers various graduate courses as well as Post Graduate courses. Jayawant Institute of Computer Applications JICA, Pune is affiliated to University of Pune, Pune. 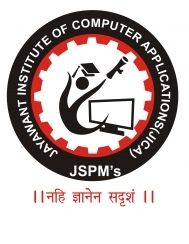 List of facilities available at Jayawant Institute of Computer Applications JICA, Pune for students. This page was last modified on 30 September 2016 at 13:09.